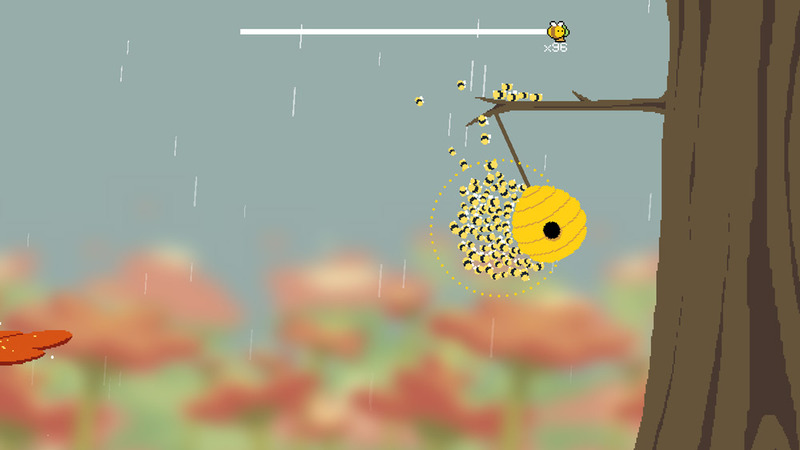 "A really nice and peaceful game where you must increase your swarm of bees"
Honey Home is a short and simple but thoroughly enjoyable and satisfying game where you start off as a lone bumblebee and must pollinate flowers, for each flower that you land upon a few more bees will appear and your swarm will start to grow but as you make your way from flower to flower you will be faced with many different obstacles trying to harm your swarm of bees, such as frogs flicking their tongues out and trying to eat you or big fly like creatures, or even heavy rain drops that can fall and drown your bees. It makes sense to try and make sure you land on each flower to increase the size of your swarm as it can be very easy to see it depleted if you happen to fall prey to one of the many obstacles in your way. 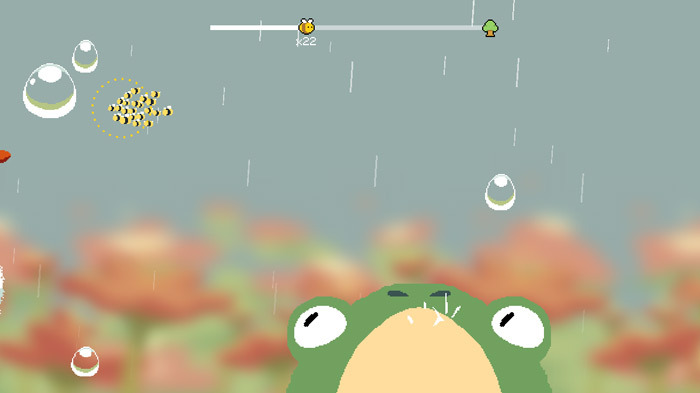 Honey Home has a nice melodic soundtrack and the controls are simple and easy to pick up but on the flip side of that it does not really provide much of a challenge and most people will be able to complete this very short game at the first attempt, a few more levels in increasing difficulty would have been great as the few minutes that you do pass playing this is very enjoyable in it’s pure simplicity. 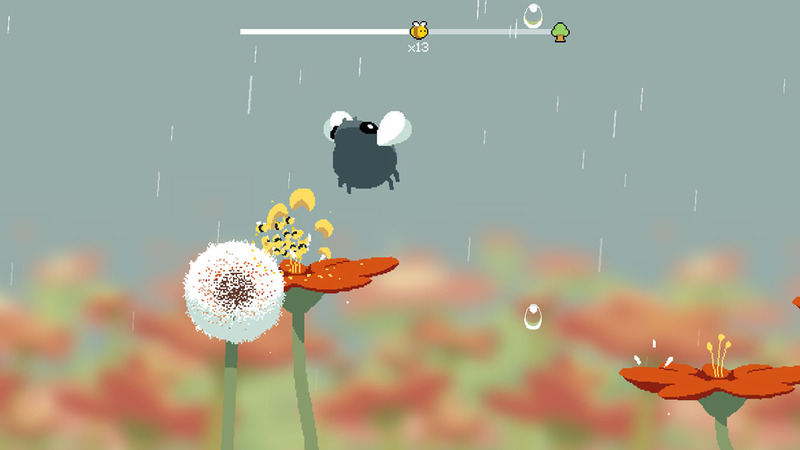 You can download Honey Home here for free.